Our Promise It's more than a promise, the level of service you receive is a guarantee. For plumbing repairs and installations in the Greater Orlando area you will be glad you came across Honeycutt Plumbing. It's about making your experience with your plumbing work as great as it possibly can be - it's about fitting in with your schedule, your home or business, and your needs. The person we want to see happy with our work is you. With over 15 years of experience and numerous contracts with Florida’s top ten commercial plumbing companies, Drain Genie Plumbing Services’s owner, John Bodrato, built the company from the ground up. Using his expertise and honest practices, John and his crew have developed a reputation as one of the most trusted, family-owned and operated plumbing companies in all of central Florida, including the areas of Orlando, Heathrow, Maitland, Casselberry, Winter Springs, Altamonte Springs, and the surrounding regions. John even oversees each project to ensure quality workmanship, which is a top priority in each of our jobs. 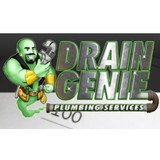 To that end, Drain Genie Plumbing employs only licensed plumbers, not unqualified handymen. Video Player 00:0000:00 Meet Our Plumbers While other plumbing repair companies seek to profit off their customers by cutting corners and recommending unnecessary services, Drain Genie Plumbing provides honest estimates and does the job correctly the first time. We believe that a good reputation is the recipe for success, and serving the community with high-quality work at affordable rates is the best way to achieve such success. Keeping our overhead low, we pass the savings directly on to you. Spegal Plumbing is your best choice for a full service plumbing and gas company! We are based out of Apopka, FL. and service the entire Central Florida area. We offer a wide range of plumbing services. Call (321) 256-1234 for your free estimate! Prime Plumbing Inc has been family owned & operated for 32 years. 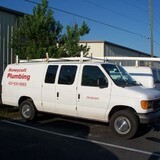 We have all the team, the skills and the equipment to handle any plumbing service large or small. We have specialists in tankless water heating, whole house water filtration systems as well as specialists in every area of emergency plumbing repair. If you need leak detection, drain vision, hydro-jetting, repiping, septic or drainfield repair, you have found your local solution! 24 hours a day and Seven days a week, we provide quality plumbing, plumbers, drain cleaning services, water and sewer line repair and replacement, water heater, electric water heaters, gas water heater repairs,garbage disposal repairs and replacement,faucet repair,sewer jetting,and repipe /replumbing.Mr Rooter Plumbers are licensed, bonded & insured. Family owned and operated, Allen Plumbing & Backflow Services Inc. has been providing Volusia County with honest, reliable work since 1993. For over 20 years, our team of experts has offered quality workmanship performed with professionalism and with your best interest at heart. The professional plumbers at Fahrenheit Plumbing have years of experience repairing and installing plumbing throughout Maitland. Our well-trained plumbers know how to effectively complete virtually all plumbing services. Our entire staff is dedicated not only to your plumbing needs, but also to your 100% customer satisfaction. We are the 24 hour plumber in Maitland and the surrounding areas. Our services provided are Maitland plumber, plumbing company, plumbing service, plumbing repairs, plumbing installation, emergency plumbing, drain cleaning, unclogging drains, leak repair, pipe repair, toilet repair, leak detection, water removal, plumbing fixtures, sewer repair, drain repair, water heaters. 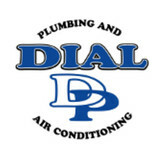 Complete 24 hour plumbing service. No Overtime. Leaks, Stoppages, Gas, Hot water systems, fixture and faucets. After more than three decades of servicing the Central Florida area's plumbing needs, we're proud to say DeSanto Plumbing is at your service day or night. We have experienced technicians on-call 24/7 because no one decides when they have a plumbing problem. From routine maintenance to burst pipes, we're here to help. In addition to plumbing, we also offer a full fabrication service. Most often, we produce pieces to fit outdated, no-longer-produced sizes of pipes. However, we're also pretty handy at creating all-new fixtures. If you have a vision, but haven't been able to find the fixture in real life, give us a call.